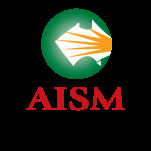 Search Associates is pleased to represent the newly-registered Australian International School Malaysia (AISM). Situated on 7.5 acre campus in a secure, gated community, and also close to several expatriate residential areas, the school overlooks the picturesque South Lake of Mines Resort City. 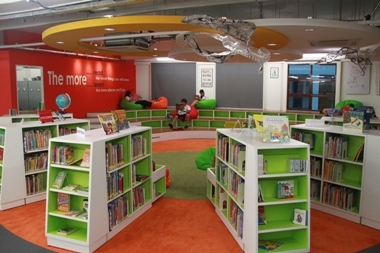 A short drive from Kuala Lumpur City Center, the well-located school is easily accessible via five major highways. Another advantage of its location is that the journey to and fro is against heavy traffic flow during peak hours, making it hassle-free for students and parents to get to the school. Kuala Lumpur is a particularly inviting place to work and live, with welcoming locals, excellent transportation, a low cost of living, and a wealth of cultural and tourist attractions on offer. The city and its environs have something to offer everyone, from some of the world’s best leisure resorts to charming, local neighborhood restaurants, all at a fraction of the cost compared to other parts of the world. AISM is fully accredited by the Council of International Schools and Quality Standards Award for Private Education Institutions (Skips). In 2017, the school was awarded recognition as the first Certified Visible Learning School in the world. AISM received this distinction based on its application of extensive research on best practices by Professor John Hattie of the University of Melbourne. The largely expatriate staff of 55 teachers comes mostly from Australia but also from New Zealand, the United Kingdom, Ireland, and Canada. Students at AISM take part in music, drama, dance and visual arts from a young age. 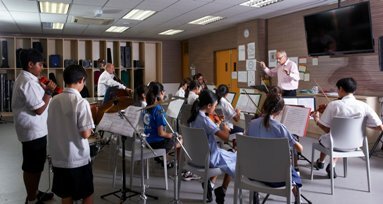 By Years 3 and 4, children can learn how to play either violin or cello, and by Year 5, students may join a band or orchestra. Older students study music as a curriculum subject, with courses in film, music, world music, Australian music, and rock music offered. During school hours, the AISM Instrumental Music Academy offers students individual instruction in clarinet, flute, oboe, violin, cello, double bass, drums, piano, guitar, and Indian classical music, with a multitude of chances to perform throughout the year. 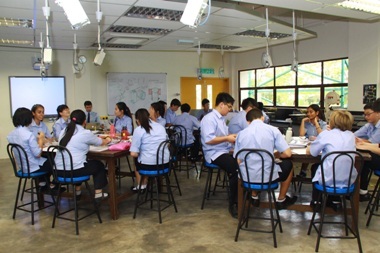 Students also regularly represent the school at high-profile public events such as gala dinners and events for the Australian High Commission, Malaysian and Australian Business Council (MABC), and other groups. In drama classes, conducted by specialist teachers, students work on developing performance, play building, and self-expression and imagination, and are exposed to a variety of historical and contemporary theatrical styles and traditions. A yearly highlight of the arts program occurs when middle and senior school students organize and participate in Creative Arts Week to celebrate the arts, including visual arts, music, drama and photography. Students’ artwork is showcased around the school’s corridors, demonstrating each student’s talent, and students, parents and teachers enjoy a variety of drama and music productions. AISM athletes are part of the International Schools Athletic Conference (ISAC). The first season offers football, volleyball, and cross country; the second season: basketball, rugby, swimming, and tennis; and the third: track and field, softball, and badminton. AISM is interested in hiring certified singles and couples, preferably with experience with the New South Wales Curriculum as well as the Visible Learning model. They will consider outstanding newly-certified teachers as well. Candidates must hold an academic degree in the subject they will be teaching. There is no age limit to obtain a work visa in Malaysia. The benefits package includes a monthly housing stipend, a settling-in allowance, and annual airfare home for teachers, their legal spouses, and up to two children. Full tuition is covered for up to two children. Health insurance is provided, but with coverage limited to within Asia. An AISM package could mean some good savings or the chance for a family of four to live modestly on one salary. To gain access to Australian International School Malaysia’s full profile on the Search Associates database, including a list of all open positions, candidates can apply for membership by clicking here. Candidates already registered can easily access the school profile directly through their dashboards.